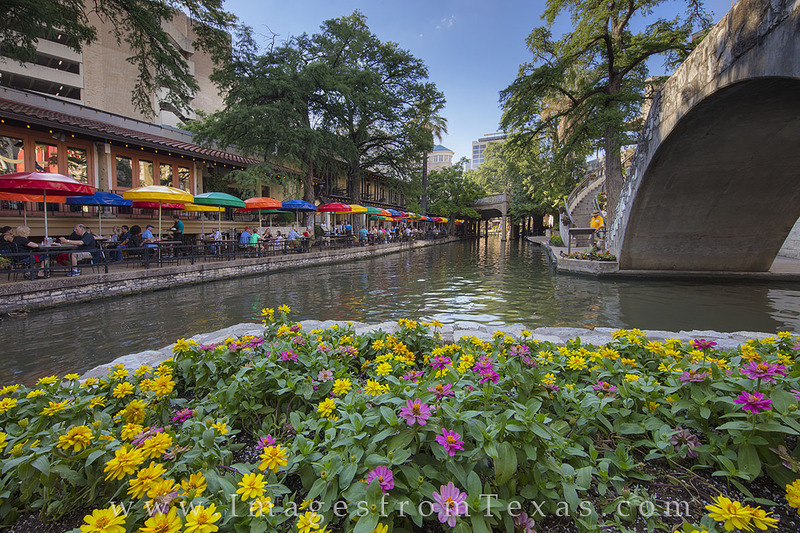 Colorful flowers bloom along San Antonio's famous Riverwalk. With miles of stollling, good food, and perfect late June weather (hot), this area makes for a great place to spend and evening or a weekend. Photo © copyright by Rob Greebon.